Steve McQueen is said to have said “Racing is life, everything else is just waiting” or something like that. While I am not that die hard about it, I do believe it is an important part of my life and something that fills my soul. I don’t get to race as much as I would like and I don’t force the issue like I used to but every now and then I MUST get out and compete! I recently answered that call in California at round 1 of the National Hare and Hound Association’s 2019 series. The Desert MC’s have been putting this race on every year for 52 year. Yeah!! 52 freaking years! To say it is a part of motorcycling history is an understatement. Heck, Steve McQueen himself has raced this race and so have the likes of Malcom Smith, Destry Abbott and Kurt Casselli. This year would mark my 4th time racing this race. It all started back in 2006 when I decided to get ready for the Baja 1000 by racing my XR650 in the Desert MC’s race. What a colossal mistake that was. 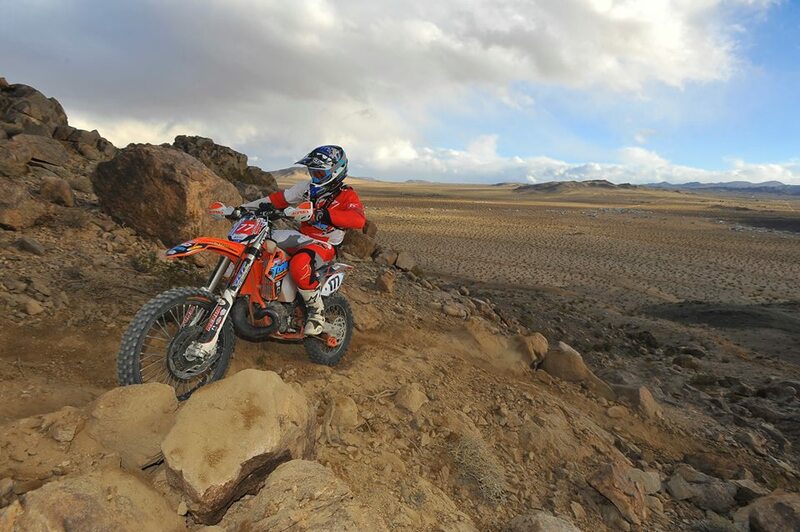 If you have ever ridden a Desert MC race, you know that an XR650R is not the best bike for their races!. I have been trying to get people to go with me to one of these races for years and this was the year finally! I talked two good friends into joining me for some sun, warmth and GNARLY racing. We headed out from Montrose on Thursday morning at 5 am with the goal of getting all the way to Lucerne that night to set up camp. We hammered down and made it in good time. We got camp set up, passed out in preparation for some play riding the next two days. The conditions on Friday were perfect!. 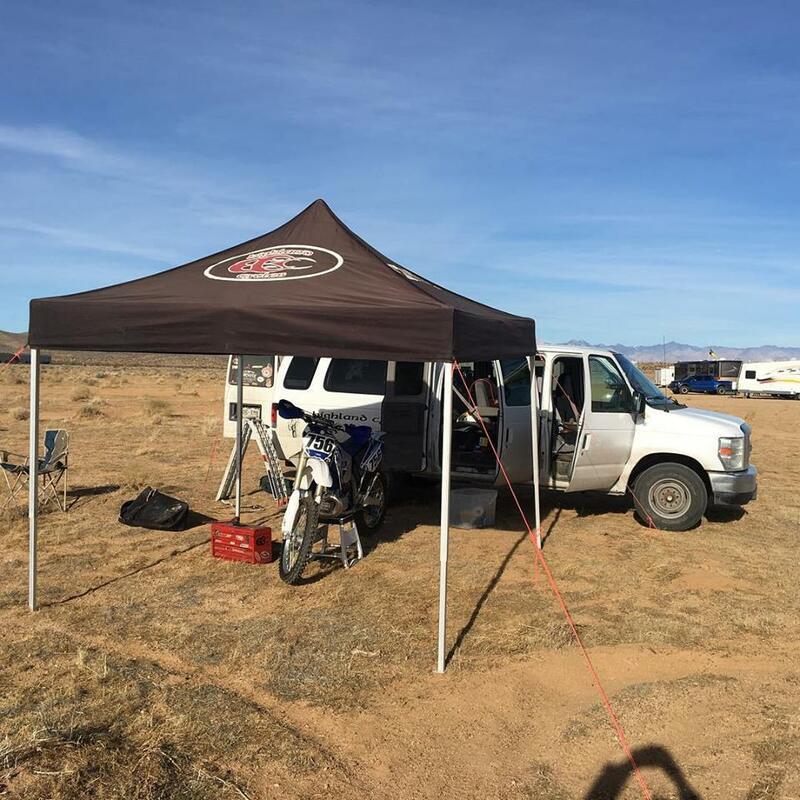 We were able to get a solid 50+ miles of riding in to check jetting and suspension settings. It was a ripping good day! After a great day we headed back and relaxed while some more friends were trickling into the pits. 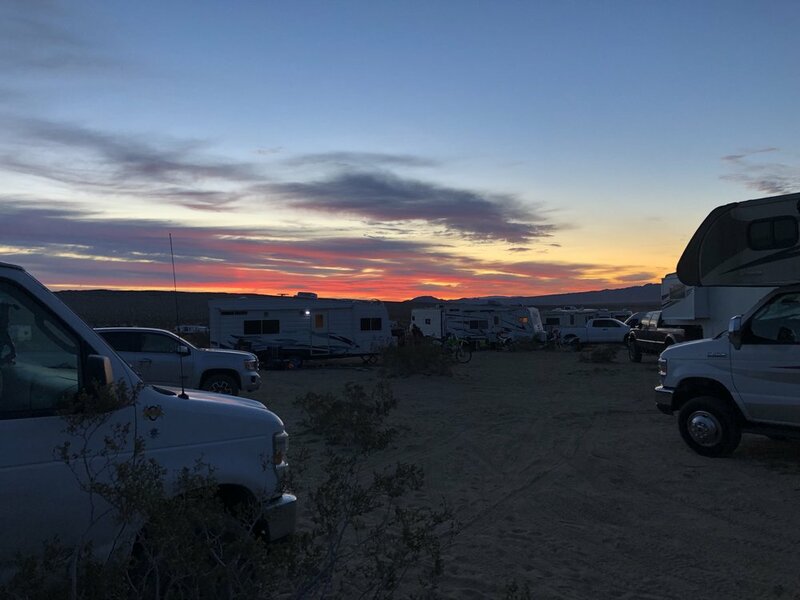 The next day was another ride day but we took it a little easier and just got a lay of the land and then hung out in the pits most of the day, saving energy for the beat down to come! Sunday was race day and I will let this video tell the story! It was a great weekend and restored some of what I needed in my life and all of the rest of us crazy fools who have racing in our blood. If you haven’t ever raced a dirt bike, I cannot recommend it enough. YES, it is dangerous but so is getting fat on the couch and I would rather die twisting a throttle than opening a bottle! Here is Jason and My re cap of the race from our live show we do on Thursday mornings called the Gospel Of Two Wheels! Thanks so much for checking in and reading this blog. Please subscribe to us on YouTube, it would mean the world to me. Also, click this button below if you want to get an email every time I post a new blog! Have a great day, spread the Gospel Of Two Wheels and go ride your DIRTBIKES!!!!! The snow is falling and a lot of our riding areas are shut down for at least a little while. What ever are we going to do?? Of course if you can’t get out and do that then its a perfect time for some bigger maintenance. Winter is when you need to take apart your bike and really get a good look at everything so you can make sure that when spring rolls around that you have a trouble free season. Here is what we suggest doing while the days are short and the temps are low. 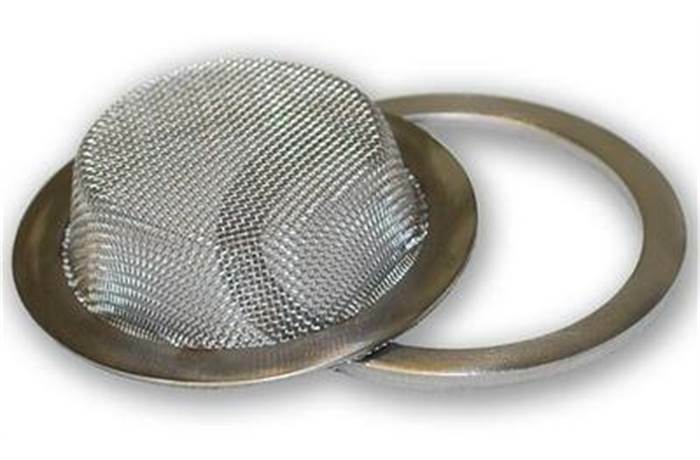 You should be replacing the top end (piston and associated parts) every 100 hrs on a two stroke and 150 hrs on a four stroke. Those numbers are based on recreational riders on modern bikes. Of course if you race hard or are on an older machine you might need to do that more often but those are good estimates. The reason it is a great idea to this type of maintenance during the winter is that it gives you a good look at the bottom end of the bike and all the chassis components that you have to take off to get there. Chances are that if you don’t have a brand new bike that you will find more that you need to take care of. Because it is winter that means you won’t be in a big hurry to get it back together and you can take your time to make sure everything is in tip top shape. Here is an instructional video for a 2 stroke top end that we filmed right here in Highland Cycles. It is on a YZ250 but one of the great things about 2 strokes is that they are basically the same across the board. We also have a great FREE checklist and instructions for this available here! The other big maintenance that we recommend you do during this down time is to clean and grease your chassis bearings. This includes: Swing arm bearings, linkage bearings (if you don’t have a PDS bike), shock bearings, steering head bearings, and wheel bearings. When you do this, you have to pretty much take the entire bike apart and that lets you get up close and personal with all of the bike so you can see if there is anything else you need to tend to. This is great to do in the winter because if some of the bearings are junk and you need to replace them, you won’t be freaking out because the Thursday Night Ride is in a few hours! It is also a pretty big job and messy, so having plenty of time is really nice. Check out the Gospel of Two Wheels show below where we talk about winter maintenance! If you do those two things and you address anything you find during them, you should be ready for a trouble free, super duper fun Spring and summer! Hope this helped and I hope you enjoy all of our stuff. If you do, please share this and subscribe to our Blog. Have a great winter and we hope you get to ride your DIRTBIKES soon!! If you need some motivation, visit our YouTube Channel below and subscribe to it!! Hey everyone, if you have been following us on our Facebook Page then you know that our live shows have been taking off and we are having a ton of fun. We are starting to get some great interviews with some star athletes and some great product reviews and some amazing joking during the broadcasts. If you haven’t followed us on Facebook yet please do, because that is where we are focusing our efforts right now. If you have, then thank you so much for the support. Here is our interview with Cody Webb from a few weeks ago. Cody was so great and has some awesome info for us. If you have any questions for Cody, comment on the video in YouTube and we will get the questions to him and answer back. Thanks for watching. If you like this stuff, comment, like and share. It really helps us out a ton! Gospel of Two Wheels #5 OIL!!! Hey, here is our newest live show that we broadcast on Facebook. We are calling this show the Gospel of Two Wheels! If you want to follow us on FB, click here. This week Morgan went on and on about oil. He talks about 2 stroke oil, gear oil and 4 stroke motor oil. He has some pretty strong opinions about this topic that might be counter to what you think. Take some time to watch this and if you disagree, let us know, yell at us, post it on social media! We are all about it! Summer is going well and riding has been epic here in the Montrose valley but the lack of winter snow and no rain is causing it to become pretty freaking dusty pretty freaking early. We had all been talking about our lack of motivation to go breathe dust and then “DING” my Facebook messenger goes off. I check the notification and see that it's from a friend in Sargents CO. This dude is a bad man on a motorbike and I have been wanting to ride with him for a long time and I was over the moon to see that he was inviting me to ride. But there was a hitch, he wants to go to South Dakota?? What? 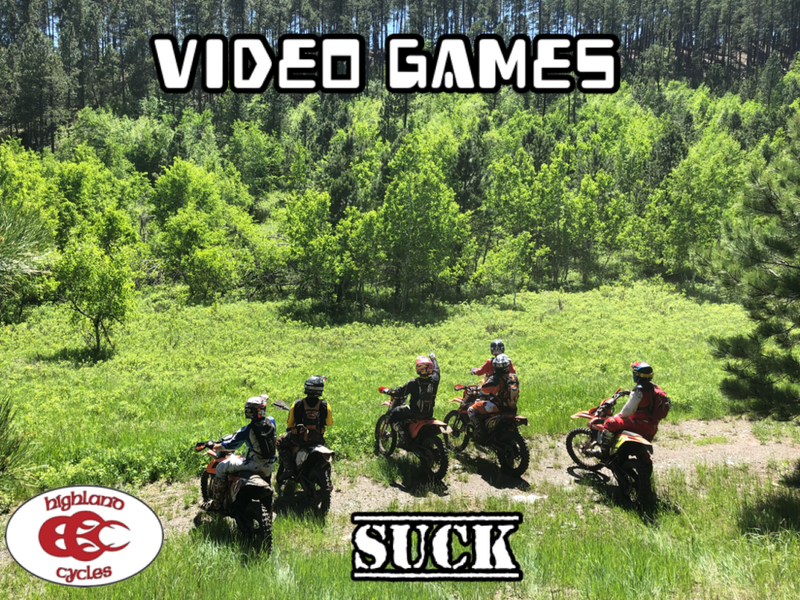 We live in dirt bike mecca so why travel, especially 11 hours to a state known for flat ground and a ridiculous Harley rally. But its THAT guy, and it must be good if he is going to drive that far. Then there was the issue of getting out of work and leaving the family behind for an extended weekend. I thought about it for a bit then decided that I should at least ask my amazing wife if it would be ok. In true 21st century fashion, I texted her the question and then crossed my fingers. To my surprise, she quickly answered, “Sure, you should do something fun.” YEAH! I have the best woman on earth. Now I just have to convince my boss to let me go. Now, my boss is a hard driving, hard working, jerk of a man but he also understands that some free time is good for the soul. It also helps that he is ME since I own the shop. I granted myself the time off and told my buddy that I was IN! He quickly responded that the riding is EPIC single track and that I was going to love it. He also gives me the roster of riders and I realize immediately that I am not going to be one of the fast guys and that I am going to have to bring my A-game to keep these boys in sight. I was ecstatic! I love new experiences and I LOVE dirt bikes so this was a match made in heaven. My friend explained that all I needed was my bike, gear, some clothes and a little bit of cash. We were staying at the Nemo Guest Ranch in a cabin with a kitchen so we will cook while we are there and can ride right from the front door. Sounds PERFECT! We were going to leave Sargents at 4:00 am so I headed over the night before and spent the night with Jeremy in the Single Track Shack. 4 am came… well, at 4 am but I was like a kid on Christmas so I was up and at them right away and we blasted up Monarch pass on the way to pick up Matt in Salida. After a quick load up we were on the way to the front range to grab the last two Colorado boys in Denver. From Denver to the Black Hills is a really boring and long drive but it went by fast as we talked about dirt bikes and the rad trails we were going to ride. A quick stop in Cheyenne for tacos at Taqueria Mi Tierra (go there) and it was on. The nice thing about a state that is so flat is that you can haul the mail in a van with a trailer full of bikes. Jeremy made short work of the drive and before we knew it we were in the Black Hills. The Black Hills are absolutely beautiful. Big, rolling “mountains,” covered in trees and deep green grass. It is like a scene from an old west movie, giant expanses of incredible terrain, dotted with amazing ranches that have been there for a long time. Our destination was the town of Nemo but we had to go through Custer to get our OHV tags and then Hill City to grab food and dinner. We rolled into Nemo after dinner time and met the other half of the group. 3 guys from Iowa had driven almost the exact same distance to meet us. It was like the East/West shootout! The Nemo Guest Ranch is an amazing place, nestled in the heart of the Black Hills. They have a general store, a restaurant, and some really nice cabins. The best amenity they offer is that it backs up to the National Forest and you can ride right from the cabins to the trails without any kind of street-legal equipment. We settled in and got a campfire going. That’s right, while Colorado is burning to the ground, SD has had a real winter and 2 days before we got there, it rained 2.5 inches. I was the new guy to the group and it was a hoot getting to know everyone and bench racing around the fire. 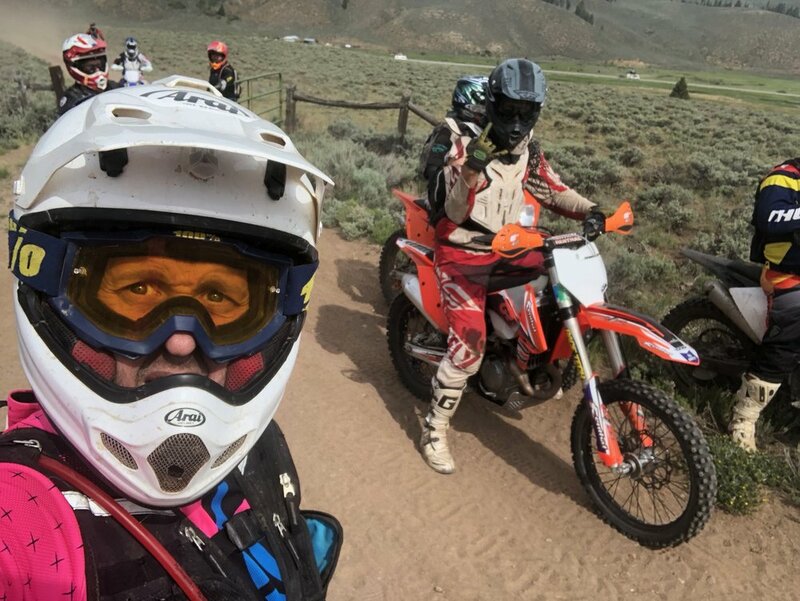 Finally, it was getting late and early morning dirt bikes were calling so we hit the hay and drifted off to sleep, dreaming of tight single track and epic traction. The sun comes up early that far north at this time of the year and since the youngest member of the group was 35, we were all up early and ready to rock. Kickstands were up at 8 and we were headed out! The initial riding was on a dirt two-track but we quickly turned off of that and up, up, up into the hills. It amazed me how steep the climbing was for a group of mountains that never get above 7500 feet at their very tallest. We pinned it through dense forests, open meadows, and jumbled boulder fields in the tightest, most single single track I’ve ever ridden. Everyone could ride and we all just hung it out. It was SOOOO much fun! No one held anyone up and we were all laughing in our helmets about how good the conditions were. After 35 or 40 miles of pure bliss, we pulled into the Sugar Shack. The Sugar Shack is a little outpost in the middle of nowhere on a highway running through the hills and they serve some absolutely amazing burgers and fries. Every kind of burger you can think about is on the menu and the service is great! They also have a gas pump so you can fuel your body and your bike at the same time. We inhaled the food and topped the bikes off, ready for the second half of the day. Our leader told us that it was going to get harder and we all began to salivate. Harder is good and we all wanted as much as we could handle. The second part of the day did not disappoint. It was much tighter and rockier than the previous section and everyone on the trip crushed it. We hammered down and had a blast. The end of the day was the hardest part of the whole trip and we finished on some really gnarly boulder sections that were jeep trails kind of like the stuff in Dry Creek but a different kind of rock. We were all tired but the fun meter was still pegged and we all had a blast. Rolling down the road, Nemo was a welcome sight. We rolled up to the cabins and geared down. After a much-needed shower, we cooked some brats and kicked back in front of the fire again. The temps were in the 60’s and perfect! Another night’s sleep lead to a bit later wake up on Saturday morning. Even the toughest of us were a bit sore and welcomed the lazy morning. My job was coffee so I took care of my duty while uncle John made us breakfast again. Then it was off to the hills. This day was tougher than that the previous one and left a few of us (me included) trying some hills twice to make it to the top. Technical hill climbs are my Achilles heel so it was great practice for me. To top it off, the trees are really close together in the Black Hills so navigating a 45 degree, rock-strewn slope is extra challenging. We repeated the Sugar Shack stop and put down some tough miles in the second half of the second day. We rolled into Nemo fully worn out with perma-grins on all of our faces. After some relaxing and showers, we loaded up and headed into Deadwood (23 miles away) for dinner and some entertainment. Dinner at the Buffalo Bodega was great and across the street, we rolled into Saloon No. 10 for some beverages. The No 10 is a famous place that has been around a very long time and is best known for being the place where Wild Bill Hickock was shot while playing poker in 1876. While there weren’t any gun fights this night, it was still plenty fun and entertaining. 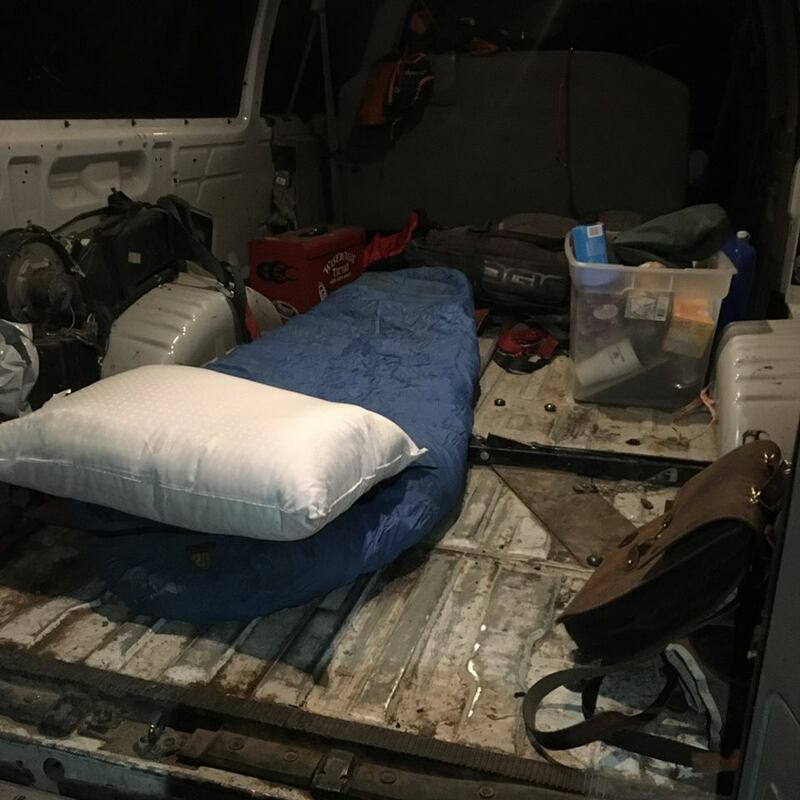 Since I don’t drink I grabbed the keys to the van to ensure a safe night and it was on! After a few drinks, a great cover band began to play and the crowd got into it. “Shuffle” (the band's name) played everything from 70’s rock ballads to Thriller by Michael Jackson. Everyone was having a blast, including the 5 different bachelorette parties that we saw that night?! When we decided we had had enough fun, we headed back to Nemo for a good night’s rest before the trek home. The next morning was even later than the one before, but I don’t think it had anything to do with the riding? We loaded the van and trailer up, said goodbye to our Iowa buddies and headed towards home. We stopped in Hill City at the cafe and stumbled on a breakfast buffet that was well supplied and fantastic. A quick triple americano from the shop next door and we were on our way! The trip home is always hard but we broke it up with a stop at the Wyoming border for some illegal (in Colorado) fireworks for my boys (and me). The rest of the trip home was uneventful and fun. Lots of great stories and great memories were made over the weekend and I count myself as a very lucky man to have been invited on such a wonderful adventure. Life is short and fun is important. Get out and have some! Here is a link to a video of the first day! Hey there, we have a guest blog post today that we are excited about sharing! Check it out! The most common mistake I see new riders make is purchasing equipment such as jerseys and pants before the essential protective gear. Yes, the jerseys and pants may be made specifically for motocross and we definitely condone purchasing them. Although, you must take safety into consideration first. Helmets may be a ‘no-brainer’, but it’s astonishing to see so many riders with an expensive race kit and no boots. 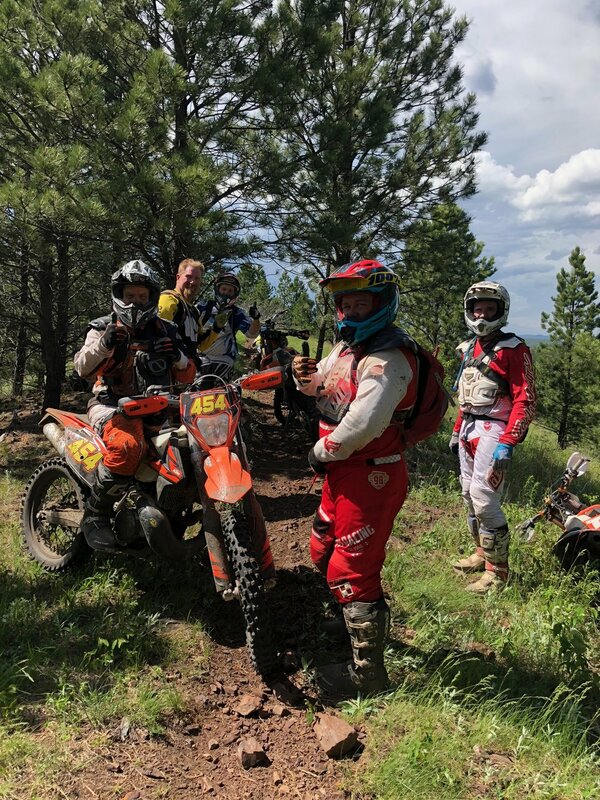 Motocross boots give you the support that is necessary to withstand the sudden twists and impacts that occur to the foot during a motorcycle tour. 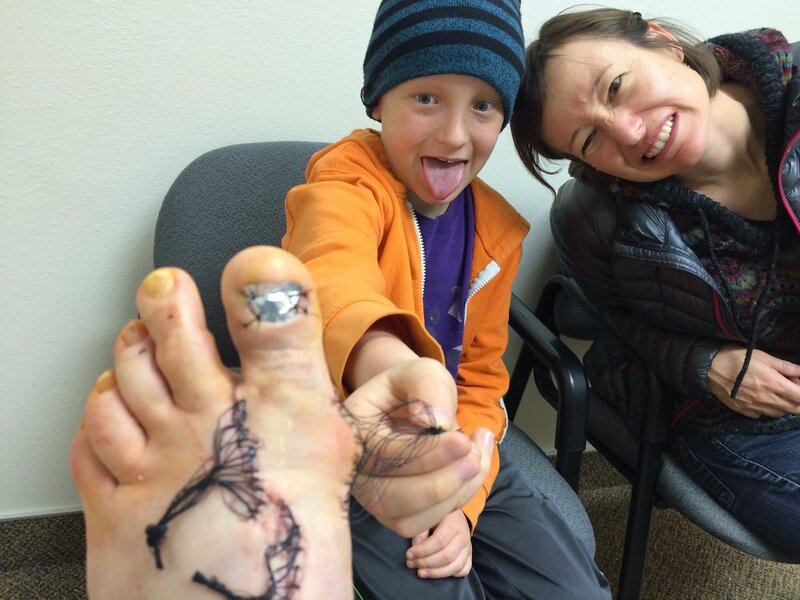 Broken ankles are not fun, and the risk drastically decreases with the use of proper protection. The boots don’t have to be the most expensive on the market to give you ample protection. Any motocross or enduro specific boot will do the job just fine while introducing yourself to the sport. To further increase protection to the leg and knee, I would strongly recommend purchasing knee braces. To most, they may seem like something you wear after an injury, but they’re actually made to eliminate the likelihood of knee damage before it happens. Purchasing a poorly fitting helmet is an extremely common mistake that you will see beginner riders make when buying their first lid. We see people do this for several reasons, such as; “I’ll grow into it”, or “It’s a great deal!”. These are valid statements but it is crucial to avoid any helmet that does not fit you perfectly. When manufacturers develop a helmet, they develop it with the intention of providing protection to the appropriate-sized rider. 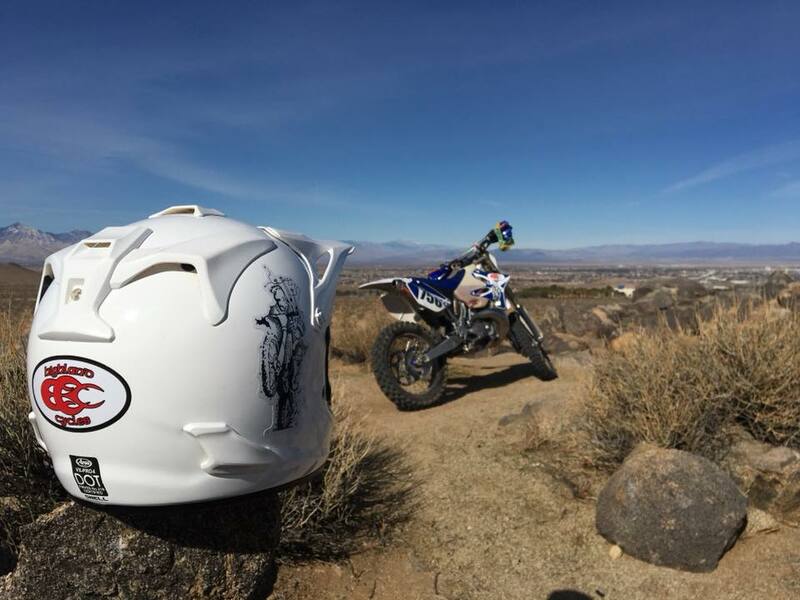 Although it’s much safer than riding without a lid at all, a helmet that is loose or too tight will take away from the helmet’s overall protection. If it’s too loose, your helmet will leave a gap that will allow your head to move upon impact, offsetting some of the technology that protects you. 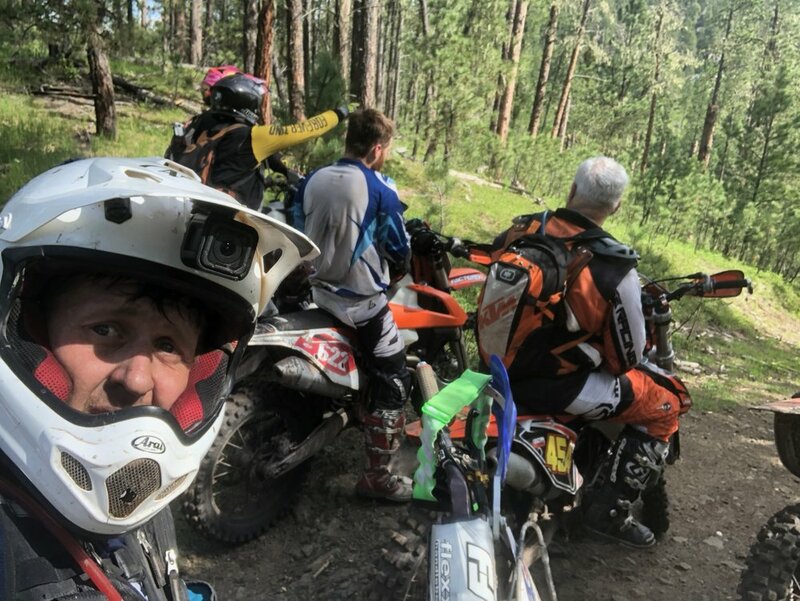 If your helmet is too tight, you will find yourself with uncomfortable headaches after and during your trail riding tour, a high risk of biting your cheek/tongue while crashing, and with bothersome pressure points throughout. If you are unaware of how a helmet should fit, we suggest you do your research or just ask for assistance in store. Many websites will offer a size chart so you can order a product knowing it will fit. Choosing gear specific to your discipline is easily overlooked but can save your life in the long run. If you’re a motocross racer, you will be looking to buy a lightweight, highly ventilated set of gear to withstand your long sessions. 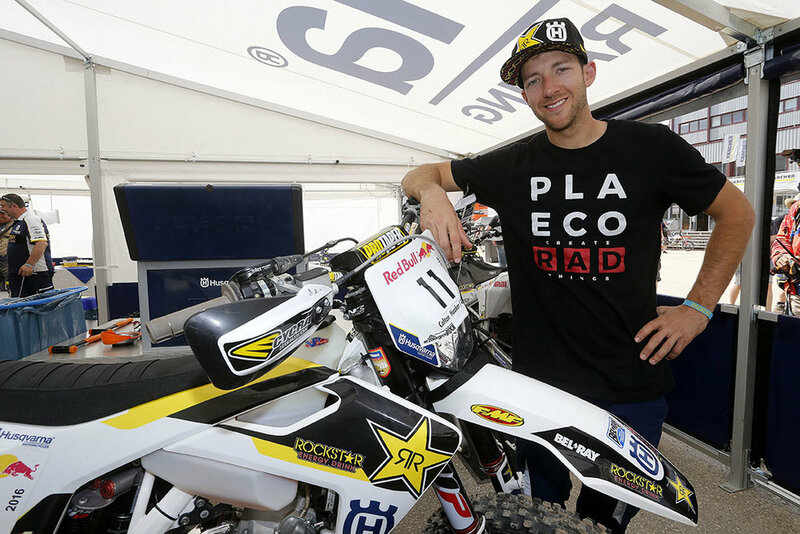 But if you are planning to sign up for an enduro tour where you will be brushing by tree limbs, falling on rocks, and attempting hill climbs like Graham Jarvis, you may want to look into an enduro-specific option. Enduro lineups are designed for durability and longevity as the first priority. 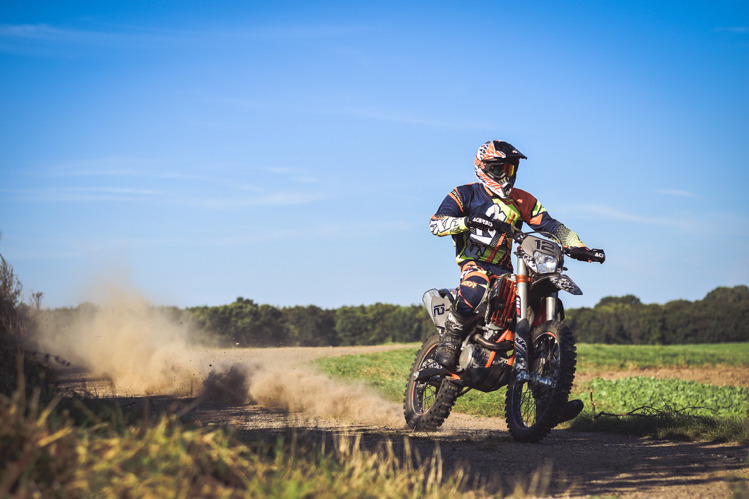 Although these gear sets may be lacking some of the weight and ventilation features that your high-end motocross gear will have, they will help ensure that you’ll be coming out of your ride day comfortable and without having to replace anything. 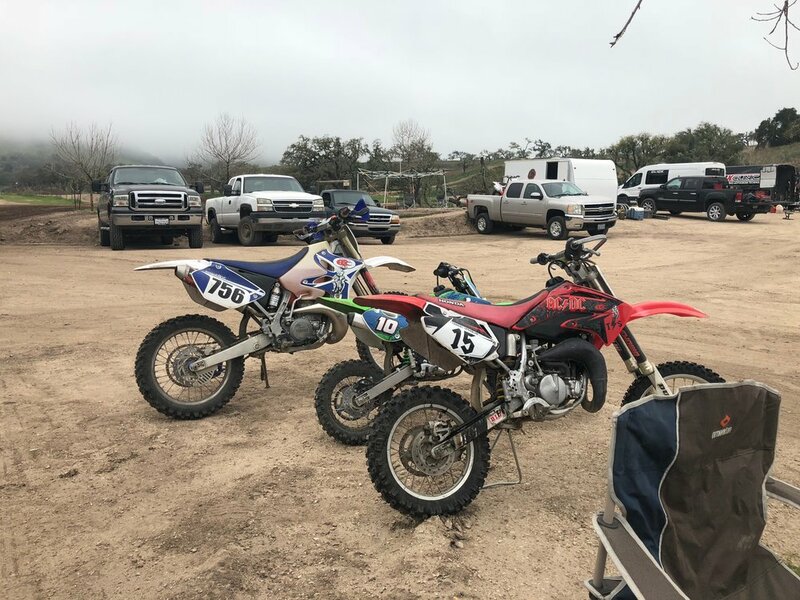 You may be asking; “why should I purchase motocross specific gear if it’s more expensive and less durable?” Well, high-end motocross specific gear will be undoubtedly the most comfortable set of bike gear you can purchase. The breathability, lightweight, and advanced moisture wicking materials will suit the hot days on the track perfectly. It may not be as durable as enduro gear, but that’s not to say it’s not extremely tough and can withstand any day on the track. When purchasing pants, waist size, leg length, and knee room are the 3 main factors you should take into consideration. A waist too tight may result in serious discomfort whilst riding; a waist that is too loose can fall down and be a massive distraction when out on the track. Luckily, brands offer a variety of adjustment features that can fine-tune the perfect fit. You’ll need the legs to match your waist. Pants that are too long for you will bunch up in your boot and cause you pain when riding. Several motorcycle gear companies offer regular and short options to avoid this from happening. If you are a rider who wears knee braces or knee pads, it is necessary that you purchase pants with ample knee room for them to fit. If your pants are too tight around the knees, it will limit maneuverability or hurt you while seating. Choosing the right jersey is a much simpler process. If you’re going to wear a chest protector underneath, allow enough room to keep the shirt tucked and the sleeves short enough to not interfere with your grip. The worst mistake you can make while buying motorcycle gear as a beginner is purchasing equipment that’s not comfortable. Some riders will even avoid wearing protection because it is uncomfortable, so make sure that when you invest, you invest in the gear that you will like to wear every ride. Always remember to be safe! There has been friction between the motorized community and government agencies for too long! Highland Cycles and WESTCORE want to end that NOW! 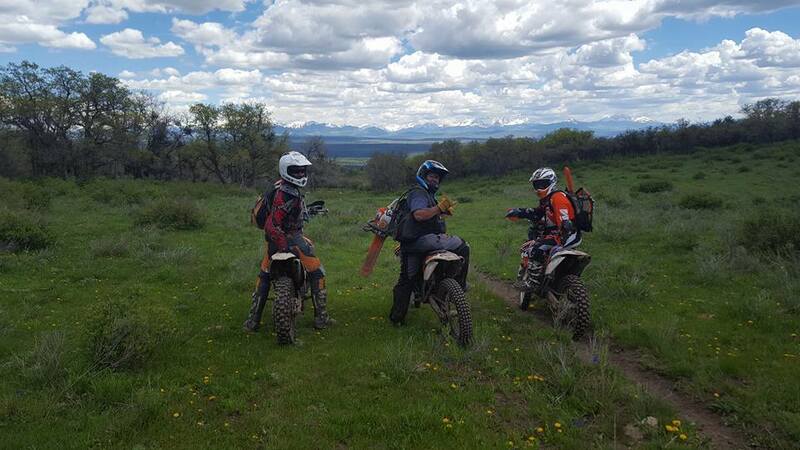 We have been thinking about this for a long time and we hate it when Colorado Parks and Wildlife and the BLM send out law enforcement right after our OHV tags expire and give out tickets. Of course, we should all be better at getting our tags and staying on top of that but let's be honest... WE AREN'T good about that and quite a few of us buck the system anyway. Well, we want to stop that now and get on the same page with our land management agencies. We came up with what we believe to be a great idea. Instead of getting a ticket for not having your stickers shortly after they expire, why don't we have a big fun party at the end of March and sell stickers?! That is the whole point anyway right? Get people to buy the stickers?? So that is what we are doing! 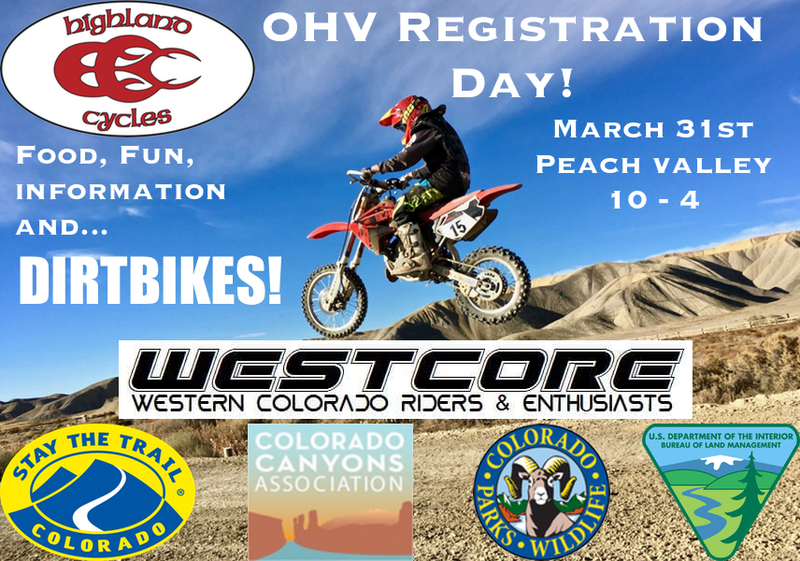 We are hosting the first ever Highland Cycles OHV Tag Sale Day out at Peach Valley on March 31st! 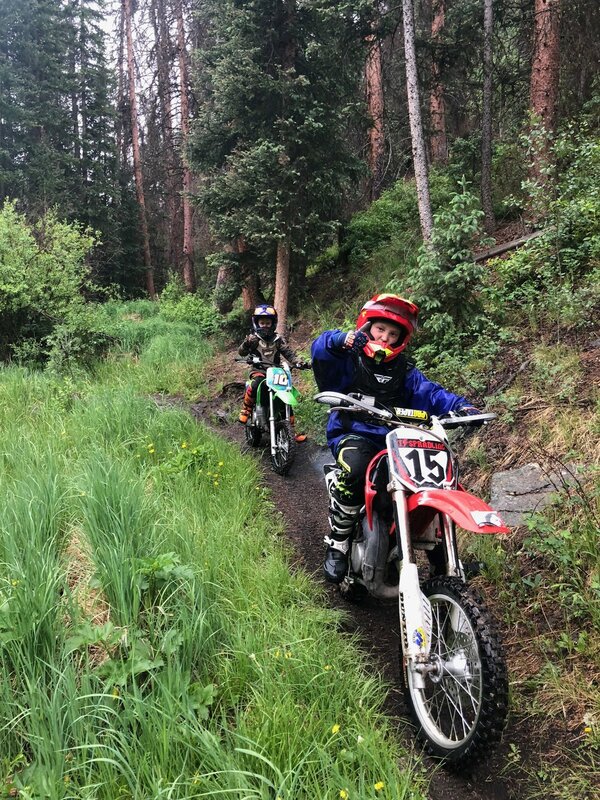 The BLM, Colorado Parks and Wildlife, Colorado Stay the Trail and Colorado Canyons Association will be joining us to sell permits and help educate all of us about why the OHV money is so important to our community. Don't buck the system! If you aren't getting your permits through the mail then come out and buy your permits at Peach Valley on March 31st between 10 am and 4 pm. You can also meet the WESTCORE guys and learn about how they are helping our community through trail advocacy. Let's develop a relationship with our land management agencies and work together to help keep our valley AWESOME! Highland Cycles will be providing food and drinks and there will, of course, be DIRTBIKES!!! HC: Do you have a morning routine that you practice everyday (i.e. not race days)? If so, what is it and why? Colton: My morning routine looks like breakfast, followed by a warm up exercise followed by stretching and foam rolling. This gets my body acclimated and ready for the day. HC: Do you have a pre-race routine that you use? If so, what does that look like and what are the benefits? Colton: Not so much pre-race routine. I do all my hard work during the week and when its race day I let it all go. HC: What is your favorite book and why? Colton: I don’t really have a favorite book. HC: If you could only do one training drill, what would it be and why? I am talking about moto skills. 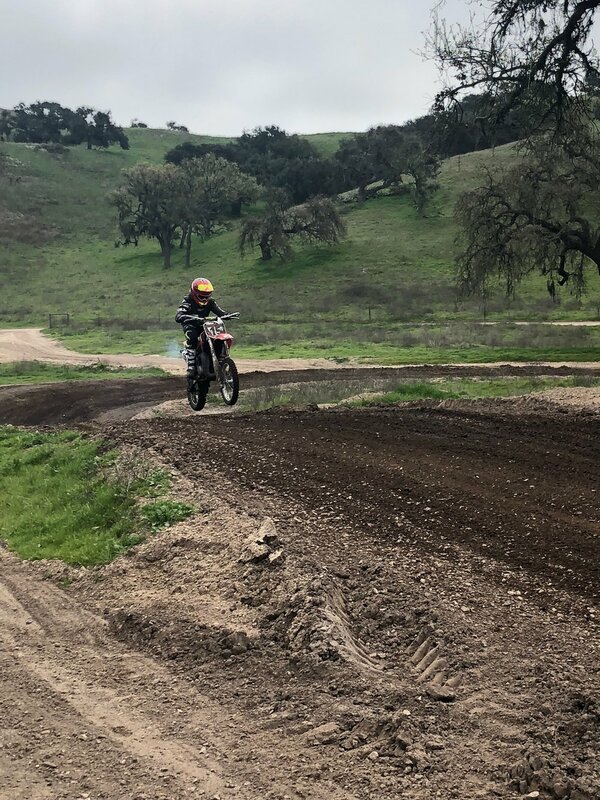 Colton: Trials riding. If there was one thing I would ride trials only. 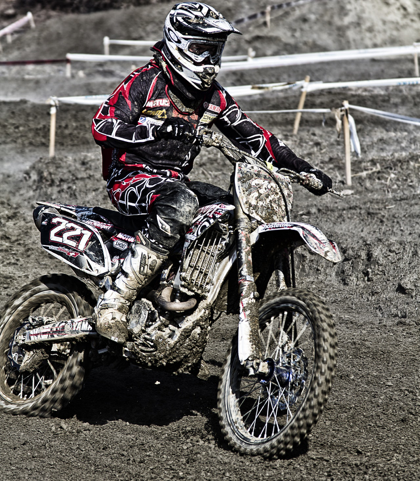 Colton: I would say my 2011 season and finish in the Endurocross series changed me for the better. I had a very hard year with different bikes and injuries that I fought through. I came back in 2012 and won the opener in Las Vegas after Taddy was undefeated for over a year. Colton: My parents are because no one sacrifices as much as your parents. You don't notice growing up but when you get older and start doing things for yourself you do. Colton: The Super Enduro Final in Spain 2016. It was a race that came down to the last turn of the last lap for the World Championship and I made it happen. Moto boots are a conundrum! The best ones cost upwards of $600 but they don't even come in half sizes. For a lot of people that isn't a problem. But for those of us that have an in between foot size and jacked up feet to boot it is a bummer. I have always said that if you are going to spend money on protective equipment you need to start with helmet and boots. I have been wearing Gaerne SG12's for years now and I absolutely love them but to fit both feet I have to wear a size 11 and that leaves my feet a little loose. I have always just worn thick socks and its been fine but recently I was approached by Charlie Johnson of Sport Align Systems. He specializes in setting up bikes to fit people and custom orthotics. Charlie has followed me for a while and knew about how jacked up my left foot is and he explained that he thought he could help me. I agreed to have him come make some orthotics for me. I asked where we should meet and he told me he would come to the shop and it shouldn't take more than a few minutes out of my day to get it done. WHAT???? I have had orthotics made before and it always meant going to an office and eating up a whole bunch of time that I could have been making money or riding. Then you wait weeks to get the orthotics. Charlie said I would be wearing them that day?!? Charlie showed up right on time and began the exam. After looking at how I stand, asking me some questions and taking some measurements he did some calculations and then had me sit down in his cool portable recliner. He then proceeded to vacuum form the orthotics to my feet, shave them down to fit my boots and I was trying them out right there. So cool. I rode in them for a bit later that day but the big test came in Oklahoma with 3 straight days of racing. Its hard to explain how good they feel. What were really nice boots that felt pretty good turned into exceptional boots that fit like Geppetto himself had fitted specifically to my feet! Yes, that is a Pinocchio reference. If you don't get it, google it! I was so comfortable all weekend and I think my results speak for themselves. Those orthotics helped me do better than I ever have at that race! If you are like me and your boots are good but don't fit quite right or you have messed up feet you NEED to give Charlie a call and schedule an appointment! The line is set! Bikes are off! A quick glance to either side reveals a big class of veteran riders all geared up for battle! The only thing that feels odd is that we are all straddling our front fender, facing the wrong direction. You can hear a pin drop as we wait for the 1 minute card to drop and the flag to waive! GO!!! The flag is up, its time to pin it! I swing around my dumpster baby Jolene and she lights right up! And we are off! Not a great start but its a 2 hour race and I know I am fit, don't worry, just don't make any mistakes. The narrative in my head is non stop. "Wait on the brakes Morgan, get on the gas NOW!" The first mile is pavement and so much fun but its not my forte at all. I manage to make up a spot on the asphalt but I am watching the leaders get a way and its maddening! Ahhh, here comes the dirt, lets do this!! A 180 degree turn onto the grass and now I can get to work. I am twisting Jolene's neck to the limit and she not only doesn't seem to mind but I think she kinda likes it. After a quick dash across grass we are on the motocross track. Another discipline that I am not great at but at least there is dirt. I put down a quick lap and its into the woods full tilt. Time to take some chances and catch back up. My friend is somewhere ahead of me and he is my main target! The woods section is sooooo good. They have changed a few things up with the course this year and it is making it a TON of fun! There is a fair amount of moisture in the ground so the traction variable is high! Imagine being on the worlds largest slot car track with the worlds fastest car and that is close to how it feels. I really can't make any mistakes. My tire choice is perfect, A Bridgestone M59 up front and a Pirelli Scorpion XC MS out back. The Lectron carburetor is fueling perfectly and I can't stop smiling in my helmet. I charge hard through the woods and pass a few guys as quickly as I can. Still no Jason but I know that he is really fast, especially early in a race. I get back out of the woods and hold Jolene wide towards the pavement. Timing and scoring shows me in 5th!! Damnit, I was really hoping I would be in the top 3 already. Oh well, more work to do! I pass my pits and give the high sign as I settle in for a mile of rest on the pavement. After a solid lap on the motocross track I fly headlong into the woods to make up time! This lap goes even better, I am still feeling strong and I have my lines dialed. The few mud holes are getting good lines through them and I remember to take the left split at one of the 2 "choice" sections. Its way faster and sets you up for the coming right hander way better. 3 laps down now and I am back out of the woods and turning onto the pavement when I see Jason pulled over in the pits getting gas! PERFECT! Just as I expected, he needed gas because he is still running the Mikuni on is 2017 KTM. I look down and I have plenty of fuel! I tape Jolene wide open as I pass him, knowing that he will be coming for me with a passion hotter than the noonday sun in Oklahoma in July! He is faster than I am in this terrain but hopefully I can put enough time between us during his pit that I can hold him off. I have one option now, GO FAST! I put together a pretty good lap and get back through timing and scoring in 4th place. Still not where I want to be but at least I am beating my good friend. It's funny how all of us motorcyclists like to beat the people we like the most! Its a sickness and one I love to live with everyday. Lap 5 is going well and I haven't seen Jason yet but as I pivot turn in one of the few rocky sections I see him coming. CRAP!!! He is on me pretty close and we only have a little bit of rocky woods left then its a mad dash in the open towards the pavement. I know he is willing to hold it wide open and I will have to push it really hard to maintain my lead. There is one last wet, rocky section before we break out into the Oklahoma sun. The grass comes and I give Jolene the equivalent of the whip as I put my head down! I am screaming in my helmet "GO, GO, GO, PUSH PUSH PUSH!" There is one last grass section before the 180 onto the pavement and about 100 yards to the finish. I hear his SX screaming like he as the exhaust inside my helmet! "DON'T SCREW THIS TURN UP MORGAN!" Until this moment neither of us know how many laps we have left because we haven't seen a white flag and we don't know the time we have been out but I look down the track and see the CHECKERS! HOLY (bad word) I might be able to do this! I feather the clutch, twist the screw and pray for the best! My dumpster baby gets a hold of the planet and accelerates like a Saturn rocket towards the finish line! The workers see how fast we are coming and start waiving us to slow down "ARE YOU KIDDING ME? I'M NOT SLOWING DOWN FOR ANYTHING!" I cross the line and look at the monitor that is showing position and I am surprised to see 3RD place!?!? What?? 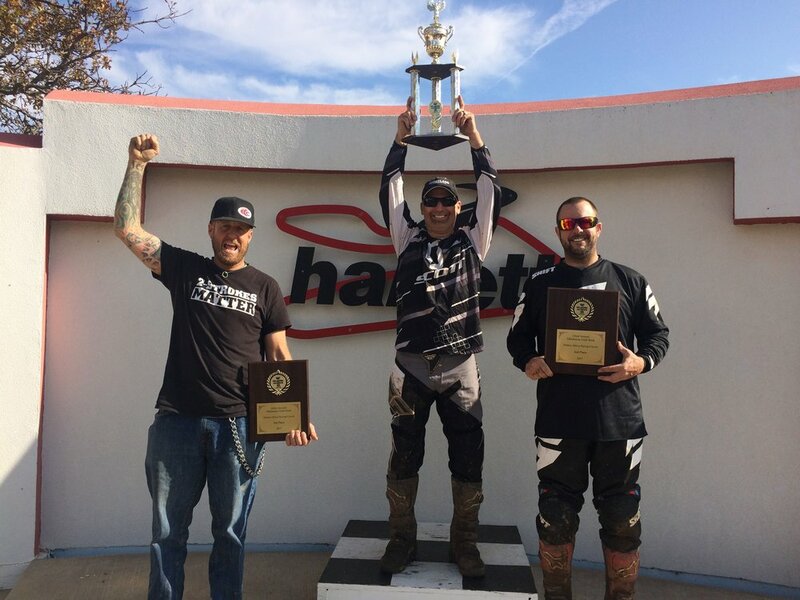 Hell yes, not only did I beat Jason but I ended up on the podium in a very competitive class! Another level of happiness rushes over me as I congratulate Jason on a great race. There isn't anything more fun to me than to battle on a bike, especially with a friend! 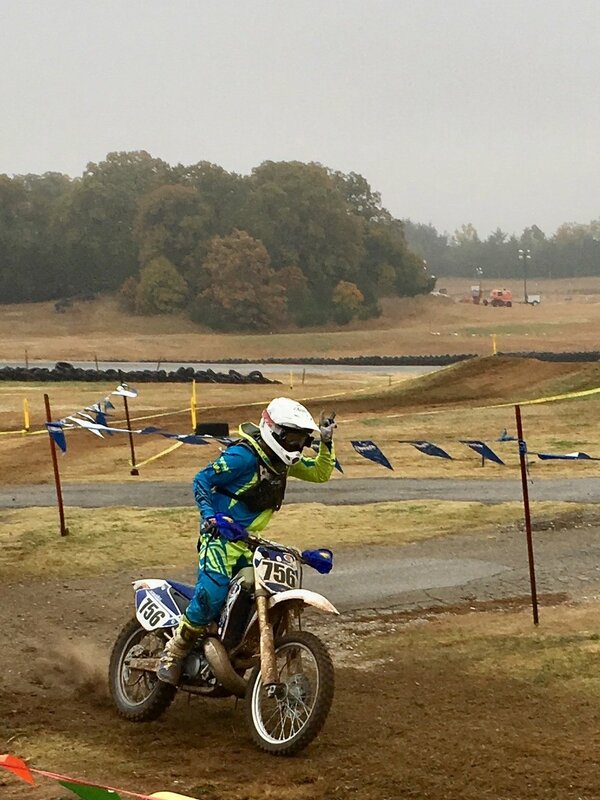 Racing dirt bikes is as good as it gets! I wasn't the faster rider today but my equipment kept me ahead and that is part of the game too! Stay tuned for the story of our team race the next day. It was just as close and just as exciting!! An integral part of being a dirt biker is the epic road trip. Think about it! So many amazing days of riding have come from a road trip of one type or another. 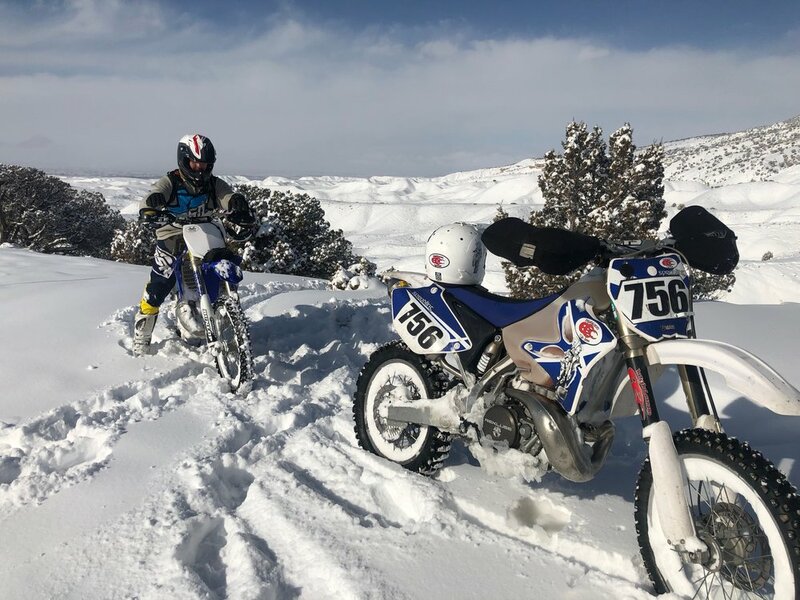 Whether is heading to a race, getting out of the cold, or just seeing new terrain, we all love road trips and it was time to share one with my boys! A few weeks ago I heard that Redbull Straight Rhythm was going to have a 2 stroke class and that the likes of Ryan Villapoto were going to race it. That news planted a seed in my soul. As time passed that seed grew into an idea and that idea became a desire which flourished into a need. 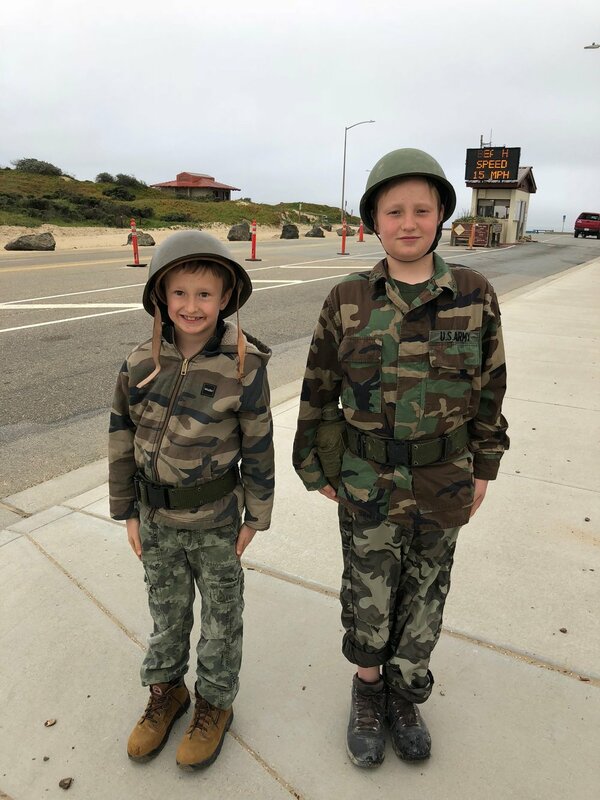 I asked my amazing wife if I could take the boys to California on a whim and watch the race. And of course we would need to take bikes and ride while we were there. We would need to miss school and work on a Friday and a Monday. She reminded me that only 2 weeks after that we would be traveling to the Oklahoma Gold Rush and the boys would miss 4 days of school for that. "We will probably get a letter from the school" she said. I looked deep into her eyes and asked if she was ok with that and the response came back "Sure." I do have the greatest wife a guy could ask for. IT WAS ON!! I let the boys know what we were up to and they were stoked. Villapoto is one of their hero's and I have brainwashed them to believe that 2 strokes are gifts from God that make the most beautiful music known to man so we were all amped. 4:30 am Friday morning came and all 3 Spradling boys were up and at them. A quick cup of coffee and away we went! The moto van was loaded with all we needed. Dirt bikes, gear, some clothes, swim suits, toothbrushes and a gas can full of pre-mix! While L.A. and the race were the end goal, our first target was In-N-Out burger in St. George! We covered that distance by 11:30 am with no issues and thankfully no visits from any friendly law enforcement officers. After a quick bite we were West bound again. This time we weren't stopping for anything until B&B Cycles in Victorville to see our buddy Steve and stretch our legs. We hit the high desert town at about 3:30 and stopped to talk to Steve for a while. It is amazing how wonderful the moto community is. Stever Harper is a friend of friends on Facebook and we have only seen each other twice in person. But when we walked into the shop we were greeted by hugs and high fives! It is so nice to have brothers in moto all over the country. Just a few miles left to get to our hotel in San Dimas, excellent!! (Yes that is a Bill and Teds reference). Driving into the L.A. area is always an adventure and luckily for us we were on the right side of the median for traffic. Everyone was headed out of town at the end of the week so our lanes were clear. 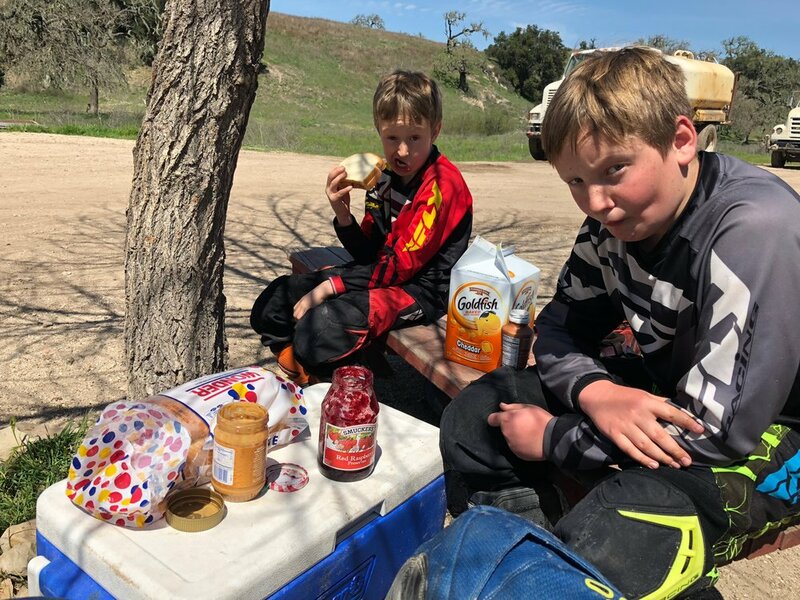 On the way down the boys and I decided that we would head over to see Glen Helen Raceway. None of us had seen the hallowed ground so we figured we would just swing by and take a pic. As we wound down the road to the track we started noticing trucks with bikes leaving the track. And when we got to the gates they were open and there were lots of vehicles inside. I had checked before we left and there wasn't any practice scheduled for the days we would be there so all of this was a bit odd. We rolled right through the gates and up to the ticket booth. No one there?! I scanned the area and saw a banner that said something about a private ride day. Huh? "Boys, you wanna ride Glen Helen?" "Yeah dad!" "Ok, lets unload and hustle!" We found a spot in the pits, unloaded and geared up. There were only a few people out riding but tons of vehicles. We headed to the track and started putting in some laps. It was eerily quiet except for us. After about a half hour there was NO ONE out riding and I waved the boys off. "Lets boogie kids, I'm not sure we are supposed to be here and I don't want to get yelled at" "Alright dad!" Everyone was off the track and in the big building in the pits and someone was on a PA system talking. We loaded up and geared down just as fast as we had gotten ready and we were out of there! "Boys, we just poached Glen Helen!" "Cool dad!" We rolled into town, grabbed some food and checked into our Red Roof Inn. We had just enough time for our traditional bed jumping and a quick dip in the pool before getting some much needed sleep. 7 am came early but the draw of the Pacific Ocean propelled us out of bed and towards Huntington Beach. If there is one thing my children love, its swimming and swimming in the ocean is the absolute TOP!! We drove right down to the beach and got a great parking spot. Keeping the boys with me while I paid for parking was like trying to hold back the wind! The sun and waves were screaming to them and they MUST GO!! We ended up spending 3 hours on the beach that morning and despite the frigid water (everyone surfing had wet suits on) Thomas and Ewan were in the water for 2.9999 hours of that. It was a beautiful day and there was a surf contest going on so we got to see some surfers as well as getting pummeled by the Pacific. Time to head to the LA county fair grounds for Redbull Straight Rhythm! We avoided heavy traffic again and made it to the race easily. Parking was easy and we strolled right in with plenty of time to check out the pits and watch practice. I was pleasantly surprised by the lack of formality of the pit area. Normally you go to a big race and you can barely walk through the pits, the racers are all hidden away from sight and you have to wait in lines to get autographs. This was completely different. Even Villapoto was just in a van with an EZ-up. We got to hang out and talk with anyone we wanted to. I even got to meet and talk to my hero Mike Brown. After hanging out in the pits and checking out all of the vendors we headed up into the grand stands to claim our real estate for the race. Some of the racers came out early to do interviews and it was at this moment that Thomas and Ewan became massive fans of Ronnie Mac. 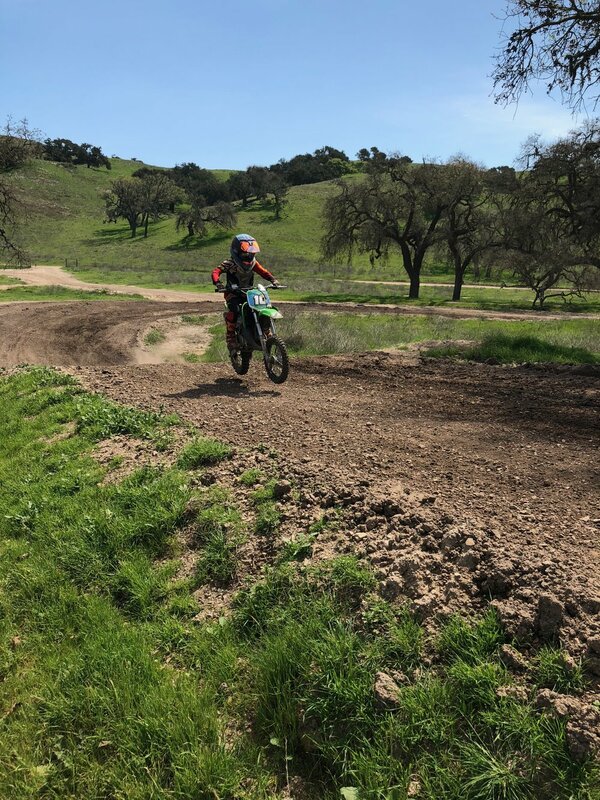 Ronnie was there to race the 2 stroke class on his 98 CR250 and in classic Mac style he launched his bike off one of the jumps and himself into my kids hearts. Hey LOVED him. I was just cracking up. Of all the guys to love? The Redbull sky divers dropped in carrying the American flag to a STANDING audience, singing the national anthem. It was so nice to see that our sport is still respectful and patriotic. I would be lying if I said that I didn't tear up a bit. Then it was ON. The 2 stroke class raced first and the sound of factory tuned oil burners echoed through the crowd! It was magical! I won't go into the details of the race because you can YouTube that but I can say that it was AWESOME and my boys loved it which is the point! Ronnie Mac, winning his first moto! A good night's sleep prepared us for a trip to the Milestone MX track the next morning. My kids are huge fans of track riding and this was going to be radical! We don't have tracks like they do in California... Period! We navigated our way through the industrial area outside of Riverside/San Bernadino and found the Moto haven that is Milestone. We unloaded, warmed the bikes up and headed to the entry level track. It was PERFECT. Easy layout, mellow jumps and not a ton of people. Thomas and Ewan were having fun and getting faster every lap. After a while I decided to head over to the Vet track and was stoked to find it just a bigger version of the entry level one. Nothing to big, nothing dangerous and prepped perfectly. I can see why people love motocross when you have a track like that to ride! We all burned more than a tank of gas and had perma-grins plastered on our faces. After we filled our space ship (van) back up with gas it was time to head back East. The goal for the day was St. George and after our third In-N-Out stop of the trip we hammered down and got the work done. We hit St. George at about 8:30pm and promptly got into our motel pool! Pizza, TV then bed! We slept in a bit to recover from all of the fun and then loaded up for the final push. The trip back was easy and uneventful. Like every vacation I began to feel the pangs of sadness roll in, the closer we got to home. I hate finishing such a good time. I just want them to last forever and I really struggle with my emotions as vacations come to a close. Fortunately I am old enough to recognize what is happening and stop it before I get really sad. I remind myself that it is all the hard work and grind that makes times like these so special. Also, as we pulled back into Montrose I was reminded that I live in the dead middle of most peoples dreams. Life is SOOOO Good! 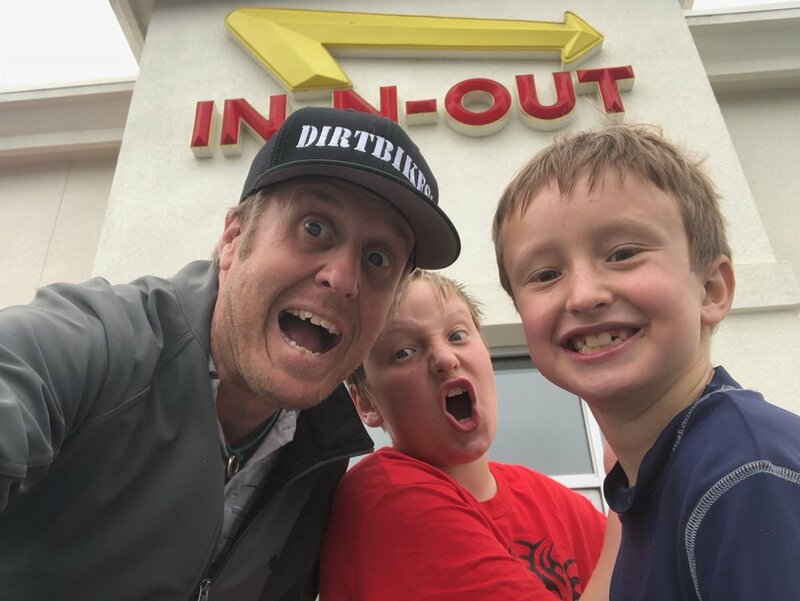 4 days: Almost 2000 miles of driving: 3 In-N-Out stops: 3 Hours in Pacific Ocean: Redbull Straight Rhythm: 2 trips to swimming pools: A day on a REAL motocross track: Memories with my sons that will last FOREVER!